The Wilson River in Oregon is known for huge Chinook to tantalize any angler. The Wilson originates in the Tillamook forest and stretches 33 miles long. This river is one of Oregon true blue fishing destination drawing in anglers for across the country to take a shot at some monster kings. 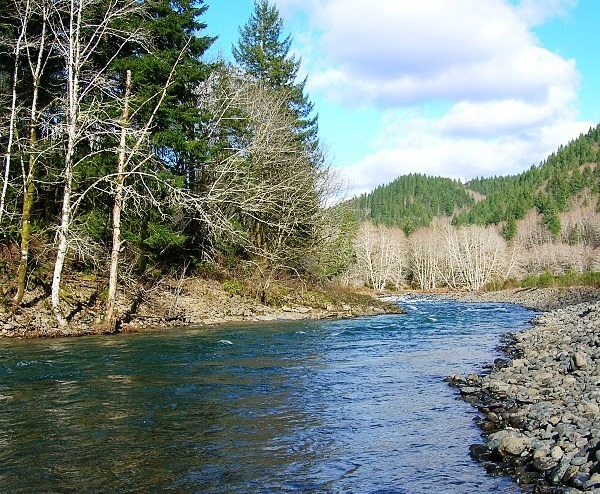 For Wilson, river fishing access see our Wilson river fishing access maps below. The Wilson offer steelhead opportunities year round, with spring and fall runs of Chinook and fall coho salmon. This fishery generally allows 2 adult fin clipped salmon or fin clipped steelhead per day and up to 5 jack salmon per day. **See Oregon fishing REGS for exact details. Barbless hooks are required for fishing for salmon or steelhead in most Oregon waters. Drifting sand shrimp or eggs can be effective as well as twitching jigs or throwing hardware like spoons and spinners. Beads produce as well. Wilson River Water Levels are provided by the United States Geological Survey data system.